Learn how languages work while you see constructed languages made by Alarido. Build your own language too! 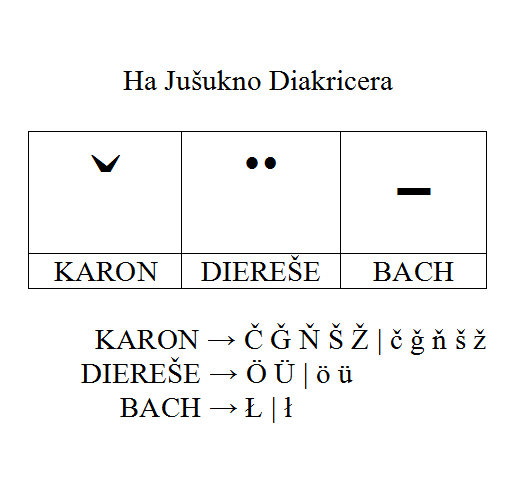 Let's see by now how the diacritics modify themselves into their doubled forms (if any), and how each form is related to its diacritics. The following consonants can get simply doubled: b, d, f, g, k, l, m, n, p, r, t, v and z. By its own, the doubled form of h is ch. ¹ i.e., diacritical in the phonetical sense. Por que Anime não ganha Oscar? Lojas do Walmart São Perigosas? Já sabe o que é? Humano!